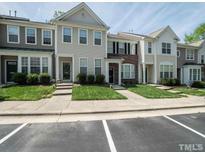 Below you can view all the townhomes for sale in the Crescent Ridge subdivision located in Raleigh North Carolina. Listings in Crescent Ridge are updated daily from data we receive from the Raleigh multiple listing service. To learn more about any of these townhomes or to receive custom notifications when a new property is listed for sale in Crescent Ridge, give us a call at 919-928-5027. Awesome community pool and close to NC State! MLS#2244444. 5240. Book your appointment home will not last long. MLS#2249345. 3770. Generous sized master bedroom w/ full bathroom plus a secondary room with separate full bathroom! 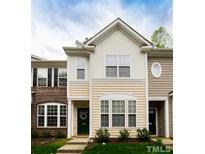 Nicely located within the community! MLS#2249322. 986. Perfect location in the heart of Raleigh! MLS#2248224. 1128. Master bedroom w/sitting area, cathedral ceiling & walk in closet! Move in ready! MLS#2247599. 1128. 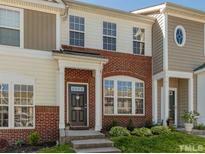 You will love this neighborhood and its amenities. MLS#2241797. 3894. The community pool and clubhouse, maintenance of common areas, exterior of townhouses, and roofs of townhouses and playground are part of the Crescent Ridge Property Owners' Association. MLS#2230019. 4823.